3.Exclusive ground-mounted design, aluminum alloy material with gold-plated or silver-plated surface, high-end luxury and beautiful. 4.The industry's highest atomization, reaching 200 cubic meters of coverage area. 6.Exclusive usage of Mercedes-Benz original air filter, effectively filter the dust . 7.Built-in filter cotton and mute cotton,excellent mute effect . 8. 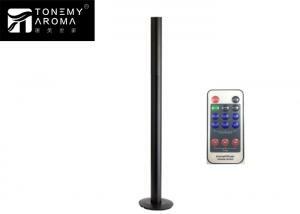 External wireless remote control, remote control of equipment working time, concentration and so on. Aerospace aluminium alloy plating process , black,silver two colors for options ,free to place, wireless remote control, modern and simple design, exquisite details on the process, the world's most prestigious dispense system in small-medium space, applicable for both business and family use . We always have stock for those types , sample order is warmly welcome . We can ship the order within 48 hours after payment if the qty is less than 50 sets . And if the orderqty is more than 100 sets , 1month for production time . We can ship by Express (DHL,FEDEX ,TNT ) ,by air cargo or by sea ,depends on the order qty . Impeccable management system ,dedicated research and development team, powerful production capacity ,providing strict quality assurance for our products . Our facilities are with exquisite designs and simple operations , for any sizes of commercial buildings or personal apartments,we are the best choice . All our products are 1 year warranty . We ship to every country with lowest shipping and fast delivery . TONEMY under GUANGZHOU TANGMEI ENVIRONMENTAL PROTECTION TECHNOLOGY COM.,LTD ,is one of the first batch of registered legal enterprises committing to the development and production of fragrance system, aiming at promoting and improving the level of space mission.After a long-term accumulation and development, it has now become a leading brand in this industry. TONEMY has established 9 branches in Guangzhou,Shenzhen ,HK, Changsha,Changde, Sanya,Nanchang, and Kunming , We timely and effectively provide the most scientific fragrance marketing programs and the most professional services. In 2015 ,TONEMY entered business relationship with the world’s top essential oil suppliers and set up professional aroma oil R&D center in UK,HK and GUANGZHOU, with advanced equipment and original import of essential oil from British and French ,it built a top smelling space for more customers . 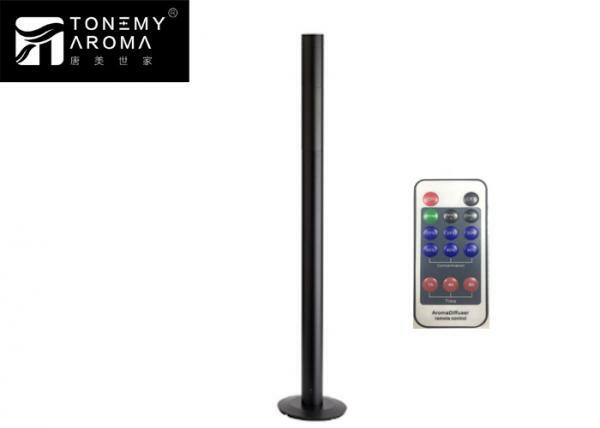 Guangzhou Tonemy Aroma Environmental Technology Co.,Ltd, is one of the first batch of legal registered enterprises committing to the development and production of fragrance system, aiming at promoting and improving the level of space mission. We focus on product quality and we get verified from ISO9001 quality management system, our products are also qualified with SGS and CE security testings .After a long-term accumulation and development, it has now become a leading brand in this industry. TONEMY worked with the world’s top essential oil suppliers and set up professional aroma oil R&D center in UK,HK and GUANGZHOU, with advanced equipment and imported oil raw material from British and French, it built a top smelling space for more customers.